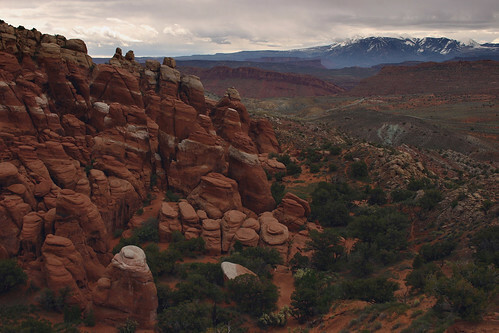 A view of the edge of the Fiery Furnace, Salt Valley and the La Sal Mountains in the background. Taken from the Fiery Furnace Viewpoint. This entry was posted on April 28, 2008 at 3:15 pm and filed under Arches, Arches National Park, desert, Fiery Furnace, La Sal Mountains, Moab, mountains, National Park, Salt Valley, sandstone, Utah, vacation.